Digging beyond just the "popular Black music" of the 1960s and 70s, further roots of Hip Hop are found in Jazz, African American literature, and the Black Arts Movement of the period. In particular, the more confrontational stance of the 1960s Black Power movement produced rhythm and poetry that bore similarities to rapping in the Bronx in the 1970s. The Last Poets and Gil Scott Heron were the most notable performers of this type of "rap." But, in regards to lyrical content, Hip Hop would not realize these types of subjects in a definitive fashion until the 1980s and 1990s. Other influences of the Hip Hop MC can be found in the outspoken explicit monologues and performances of black comedians such as Dolemite's "Signifying Monkey", Redd Foxx or Jimmie Walker. After all, what is an MC that isn't entertaining or have a sense of humor? Richard Pryor's "Flying Saucers" is evidence how stand up could be both profane and political, humorous and poignant all in a span of a short few minutes. A jazz/soul comedian such as Millie Jackson with her “Phuck U Symphony" shattered any preconceived notions of how a woman should behave or even what genre or attitude a performer should conform to for popular acceptance. Again, the explicit content of rap music would not emerge until the late 1980s but these performers clearly had a swagger that the earliest MCs adopted when on stage. As for the Bronx Hip Hop DJ, the two turntable techniques employed by early pioneers such as Kool Herc, Grandmaster Flash and Afrika Bambaataa are owed to an underground music movement in which the DJ emerged as the center piece of the show: Disco. In 1970, on the fringes of mainstream society, this new music labeled "Disco" was being created not by musicians but DJs. In NYC, Disco music began as dance parties thrown by DJs often in predominately gay neighborhoods in downtown Manhattan, Fire Island, and other small clubs. Early Disco was nothing more than an up tempo funk and soul recordings such as "Get Lifted" by George McRae. Importantly, disco DJs "blended" records of the same tempo together for one continuous mix of unending night of dance music. The video below effectively showcases a seamless mix of early Disco records; take note of the transitions from song to song at :45 and 1:22 mark and so on. Disco became a DJ dominated genre of popular music, displacing the importance of the musician and elevating the DJ to the role of the artist and star performer. As the DJ's stature and power grew in the music industry, there is no question that Disco DJs mixing and matching tempos and using isolated parts of records directly influenced Bronx Hip Hop DJs. One can see even in novelty soul records of 70s such as "Superfly Meets Shaft" foretell the cut and mix approach Hip Hop DJs and producers would become famous for in the ensuing years. If the sound, stylings, inspiration and influences of Hip Hop MCs and DJs were American, the actual structure of Hip Hop originates in Jamaica. A brief historical overview of Jamaica in the middle of the 20th century reveals a community adapting to industrialization. As the country transformed from an agricultural society of slave labor into an industrialized economy of moderate incomes. Factory labor displaced farming to a large degree and Jamaica becomes characterized by its Kingston city life rather than its agrarian traditions. Somewhat akin to what was occurring in New York City, industrialization was economically successful in the 1950s but the effects of post industrialization soon impacted the lives of hundreds of thousands of Jamaicans in the ensuing decades. Jamaica's economic and cultural inequality created a vacuum of opportunity for many contributing to high rates of poverty, crime and violence; the plight of many of Jamaica's people took place in Kingston, Jamaica's capital and largest city. While the economics of globalization might of marginalized its inhabitants, the dissemination of popular American music to the little isle of Jamaica gave birth to one of the most durable and worldwide prolific forms of modern music: Reggae. After WWII, migrant American workers and entrepreneurs begin to inhabit the island; Jamaican interest developed in the American R&B music being broadcast from American cities such as New Orleans on these workers' AM radios. Local radio was government controlled and would not play the likes of Louis Jordan and Ray Charles. Imported records were far too expensive for the average Jamaican to purchase and own. As the appetite for American music grew and the desire to socialize and dance increased in Jamaica, how would the demand be met? Musical entrepreneurs met this demand by investing in buying records and large mobile speaker systems. Headed by local vocal talents these "sound systems" emerged as new cultural form as much influenced the technologies on hand as they were by any musicians. Sound systems were essentially travelling record shops where DJs would play new American music to gathered audiences in a tenement yard or dancehall. "Sound selectors" used turntables and microphones powered by these large speakers and powerful amplifiers to host these events, aided by their "Deejay." By the Jamaican definition, the Deejay would would mimic the stylish vocal patter of the American radio disc jock in their indigenous patois. Different sound systems throughout Kingston would often compete or "clash" against each other for prize money and prestige. In the early 1960s, the waning quality of American R&B compelled sound systems to hire local musicians to compose and perform "original" records. Fusing the indigenous rhythms of calypso and mento with American R&B and jazz, Jamaica forged its own music called Ska. Sound systems now not only threw parties but also entered the record business, recording bands in hopes of scoring the next hit single. Frequently these recordings were covers of popular American tunes or original Jamaican tunes that would soon to become standards that would be adapted later. The Ska version of "One Love" by Bob Marley and the Wailers is a prime example of this early reggae sound and the ground work for its later more recognized reggae version. In 1966, the speed and brass horns of ska music come to a halt and the slower, more bass heavy sounds of Rocksteady emerge. Covering songs and refashioning them with a Jamaican sound became an established pattern by this time in Jamaican music. Here The Techniques cover Curtis Mayfield and The Impressions' "Minstrel and Queen" for their "Queen Majesty." An interesting new feature of Sound System culture emerged in this period. In the quest for fame, money, and a distraction from routine violence that plagued parties, directors of the sound systems gave Deejay space to not just speak between records, but to "chat" or "toast" along with the record. The Deejay would often rhyme a couplet or sing a catchphrase ("Live the life you love, love the life you live") between the sung lyrics of the original record. The purpose was to compliment the theme of the record by riding the rhythm of the music with rhymes chants, squeals or screams; provide comedic relief; declare a sound system's supremacy; or to acknowledge members of crowd such as the "rude boys" in the audience. A common practice of these "bad men" were to fire their pistols in the air in approval of a particular record or performance. The similarities of Jamaican Deejays and American MCs does not end there. 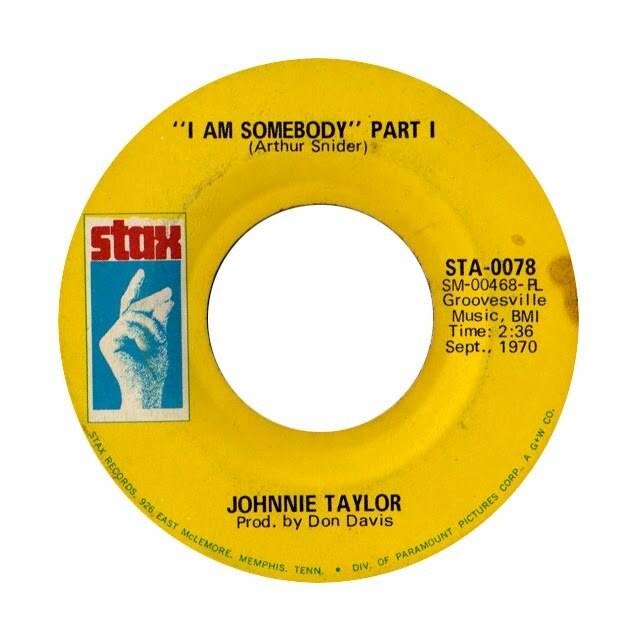 By the late 1960s and early 1970s, commonly Rocksteady and the emergent more musically complex Reggae records became the backdrop for complete "toasts" by Deejays. These "Talkover" singles were cut by deejays capturing their toasts using the original rocksteady song as an underlying rhythm. An example of this practice is seen below in "Chalice In The Palace" by pioneering deejay U-Roy who comically adopts The Techniques' love song "Queen Magesty" to beckon the Queen of England to share his love for ganja. 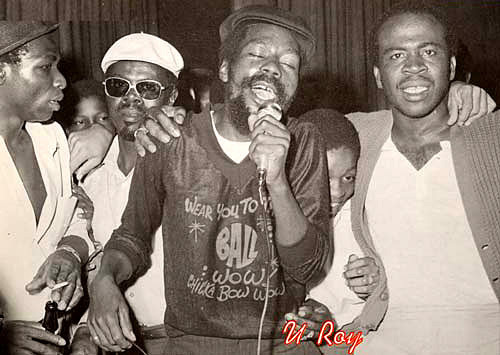 While U-Roy was not the first to chat over music he is often considered the best as he transformed toasting into a song form. Hip Hop DJs later take note of the works of studio wizards such as King Tubby who began to "dub" "versions" of original rocksteady records, dropping vocals and instruments out of the mix to create instrumentals for deejays to chat over. Jamaican music now became truly influenced by the hand of the studio engineer. Sometimes favorite talkover versions sometimes overshadowed the original rocksteady cut. More revealing, certain dubs of rhythms, the bass line and melody itself, became so popular multiple deejays and singers would cut their own "version" of the rhythm resulting in a flood of records utilizing the same beat. This approach to pop music ushers in the technique often called the "remix" where DJs and producers give a different take on a first recording. From elongated Disco 12" "dance edits" to Hip Hop's obligatory R&B or "posse cut" remix, the rehashing and reformatting of original material has become a staple of popular music worldwide. Thus, Jamaican Sound System culture serves as the musical "blueprint" of Hip Hop music. "You gotta remember that rap goes all the way back to Africa. There have always been different styles of rappin', from the African chants to James Brown to Shirley Ellis in the '60s doin' "The Clapping Song." There's Isaac Hayes, there's Barry White, there's Millie Jackson, that love-type rappin', and there's The Last Poets. And then there's your "dozens," that black people used to play in the '30s and '40s. The dozens is when you tryin' to put the other guy down, talkin' about his mama, his sister, his brother, sayin' it in rhyme. These days, rap is made up of funk, heavy metal, soca, African music, jazz, and other elements. You can do anything with rap music; you can go from the past to the future to what's happenin' now." Practitioners of modern African American music transmuted musical and cultural traditions of West Africa in reaction to their environment. 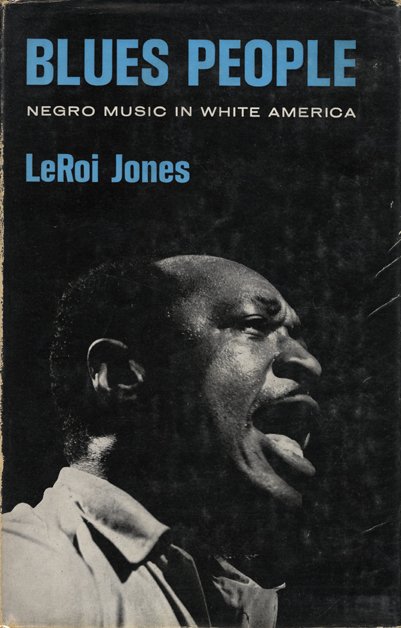 Jones asserts that essential qualities of West African music- its social function and its rhythmic and lyrical forms- continue on in the 20th century altered by African Americans experiences in the rolling fields of the South, the bustling urban cities in the north and the roads and train tracks that ferried them in between. As African Americans encountered the wonders of modernity or the lingering oppression of slavery and institutional marginalization, the ability to account for these experiences were often lyrically expressed. Thus, these experiences were expressed with grave seriousness in the work of African American preachers, revolutionary orators such as Malcolm X or Gil Scott Heron or the soul crooners like Sam Cooke. Clearly, in a wide variety of forms, African American cultural history has its share of oratory masters. Hip Hop MCs and rappers have been influenced and informed by all of these traditions. The first “Masters of Ceremony”- the hosts of the first Hip Hop parties in the Bronx in the mid 1970s- adopted both the preacher's power and a toaster's rhymed wit. These previously styles of speak and slang were twisted into a vocal performance at Bronx parties known initially as MCing and later called rapping. The following briefly discusses the "Black American" musical influences of the 1950, 60s and 70s that had the most immediate impact on the sound of Hip Hop in 1973. At the risk of oversimplifying, the crossover of the sacred sounds of much African American musical expression to a more secular gesture of mainstream American sensationalism is best evidenced in the music of Ray Charles. Charles was not the only artist to do this as he built upon the foundation of jazz and blues music that emerged in the first half of the 20th century. But Charles' pioneering fusion of traditional "Black" gospel vocal styling with lyrics about love and women made him one of the most acclaimed and reviled. His 1959 hit "What'd I Say?" is the clearest example of this. There is little question that Charles popularization of the concept and sound of "soul" shaped modern American R&B if not Pop music in general. [The DJ] invaded the home, flattered the kids’ taste (while helping mold it), lured them into an imaginary world in which they were free to take their pleasures… …the disc jockeys played an important part in extending the peer group, certifying rock lovers as a huge subsociety of the knowing. 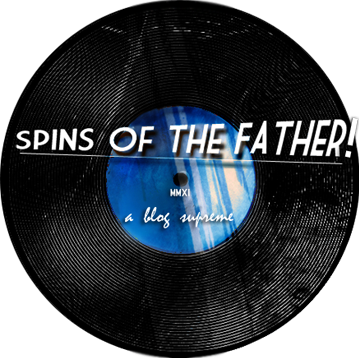 The local disc jockey played new hit songs first; introduced new artists; promoted local businesses, informed listeners what cool happenings were going down; and, simply, what was "cool" and what was not. "Soul Travelin'" by Gary Byrd is a musical example of the DJ's charisma and narrative power over the music. 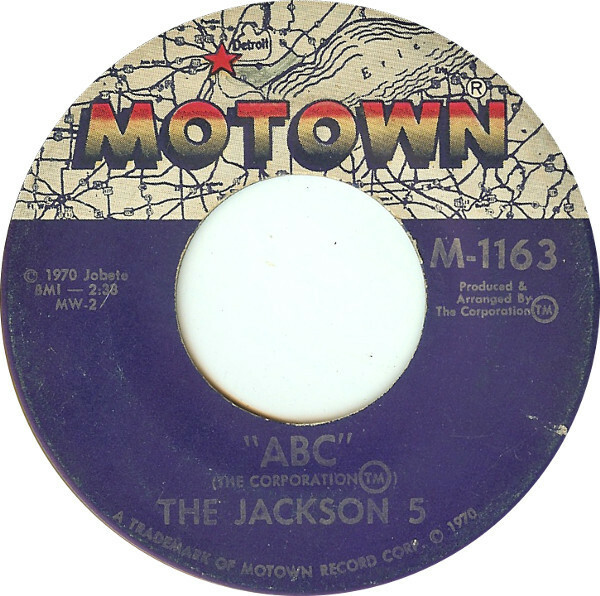 During the 1960s and 70s, R&B music and their artists grew in profile. Detroit's "Motown Sound" enjoyed both a large white and black audience and represented the first largely successful black owned record label. The wider acceptance of "soul" music was reflective of the racial upheaval that began with the 50s Civil Rights Movement and Motown label owner Barry Gordy's purposeful streamlining of his artists' sound. Many, many other African American artists of this period continued the traditions of Ray Charles, marrying the gospel singing with gritty blues music, most notably those on the Memphis' Stax/Volt label: Otis Redding, Sam and Dave, Rufus Thomas, Booker T. and the MGs. While Stax was not as financially successful as Motown, Stax records celebrated unabashed soul or told the blues of poverty in a fashion Motown would not dare. Stax Records staff and musicians were both white and black, working in the deep South, no small feat as American race relations entered a even more tumultuous period in the later half of the 1960s. Embodying both the dirtier, funkier sound of Stax and the immense popularity of Motown was James Brown. The Hardest Working Man in Show Business, Soul Brother #1, the Godfather of Soul, Mr. Dynamite became the most prolific black soul singer of the late 1960s, dominating R&B charts and pop charts alike. Risking his commercially privileged status, Brown also made considerable efforts to champion the "Black Power" movement of the 1960s and 70s in his music ("Say It Loud, I'm Black and I'm Proud") or as a an instrument of peace during the riots following Martin Luther King, Jr's assassination. Brown's impact on Hip Hop and popular soul and dance music at large is undeniable. As Brown's musical career expanded in the 1970s his band the JBs in both sound and lyrics reflected the plight of the urban cities. Lyrically, songs like "Get on the Good Foot" spoke of limited economic opportunity, while "The Payback" was tough anthem for street hustlers. Musically, Brown and the JBs created beats stripped of orchestration, emphasizing rhythmic improvised interplay between singer, drummer, bassist, guitarist, organ, and horn players. "Think" by Lyn Collins, one James Brown's leading divas, showcases the JBs penchant for danceable grooves and provoking lyrics. For Hip Hop music, Brown and his bands provided innumerable rhythmic backdrops; as an African American icon he personified both an inspirational success story and the first example of a pioneering "Black owned" entertainment franchise that made decisions on its own terms. 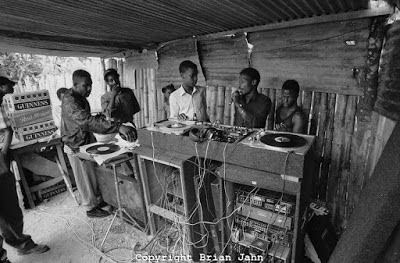 Exploring the "Roots of Hip Hop" continue here with a look at Disco DJs and Jamaican Sound System culture.